So much for that Apple rally. 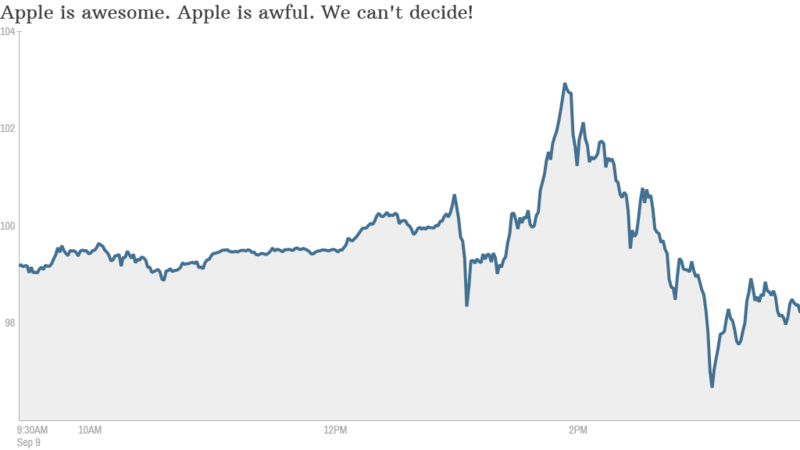 Apple's stock went on a wild ride after the company's big event Tuesday afternoon. Even though Apple didn't offer many surprises with its new product announcements, Wall Street was thrilled at first. You could even say they were iMpressed. Apple (AAPL) shares rallied almost 5% Tuesday afternoon as Apple unveiled the iPhone 6 and iPhone 6 Plus, a mobile wallet service called Apple Pay and an Apple Watch. But those gains evaporated in the final hour of trading. The stock finished the day slightly lower. To paraphrase Apple's special musical guest U2, the stock moved in mysterious ways. Apple's stock has often fallen on the day of new product launches. And tech enthusiasts and investors were all expecting two new larger versions of the iPhone, some sort of mobile payment product and Apple's first wearable device. But it might be different this time simply because Apple was able to prove to Wall Street that it can finally develop new products beyond the iPhone and iPad tablet. The perception that Apple is no longer innovative has dogged the company since Steve Jobs passed away in 2011. Some investors questioned whether Apple CEO Tim Cook would ever be able to restore the mojo that the company had under Jobs. Despite the drop from its highest levels of the day, nobody seemed to be that worried about Apple losing relevance with consumers. Other Apple winners and losers: Apple wasn't the only stock moving following the latest products news. Shares of eBay (EBAY), which owns mobile payment service PayPal, fell nearly 3%. Investors might be worried that Apple Pay could be a significant competitive threat. The stocks of watch makers Fossil (FOSL) and Movado (MOV) each fell 2% after the Apple Watch was introduced. GTAT Advanced Technologies (GTAT), a company that has an agreement to supply sapphire glass to Apple, plunged 13%. The stock has rallied sharply this year on the hopes that Apple would use scratch-resistant sapphire as a protective cover for its new iPhones. 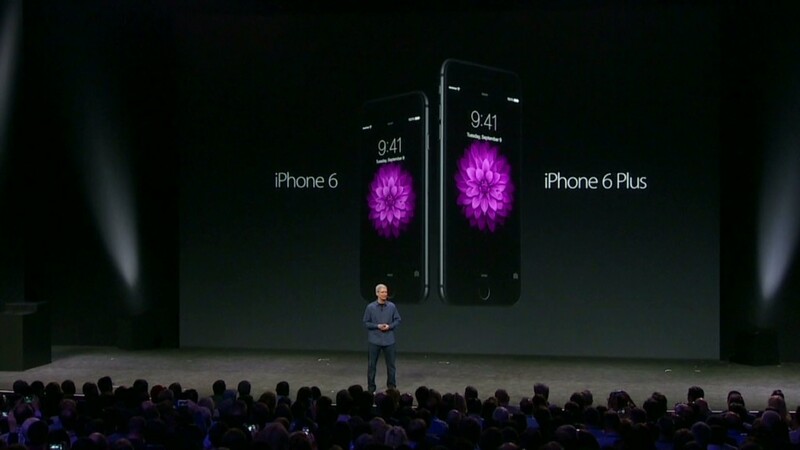 But Apple did not make any specific mention of sapphire for the iPhone during its event. 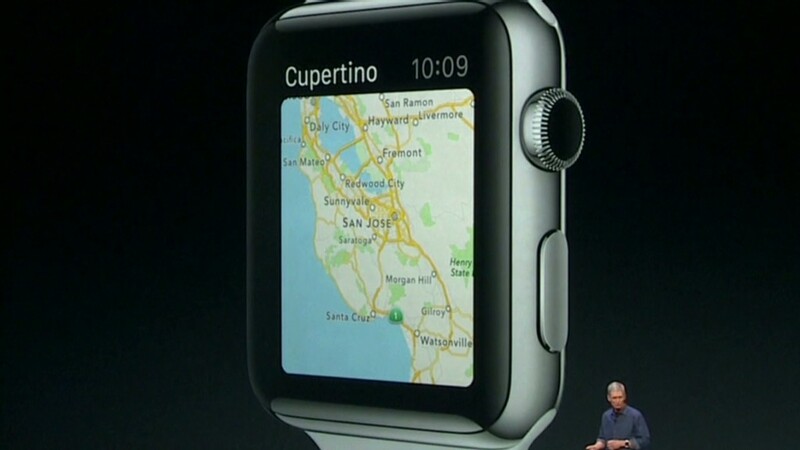 Apple did say its watch would have a sapphire screen though. Shares of NXP Semiconductors (NXPI) initially spiked as investors cheered the news that its chip would be used for Apple Pay. Shares pulled back as the day wore on though. But the stock of a thinly traded company called Pulse Electronics (PULS), which some tech blogs reported was the maker of the antenna used in the NXP chip, soared nearly 55%. It just goes to show the breadth of Apple's impact throughout the stock market.